Properties for Sale in the town and district of Feldbach, Steiermark (Styria). 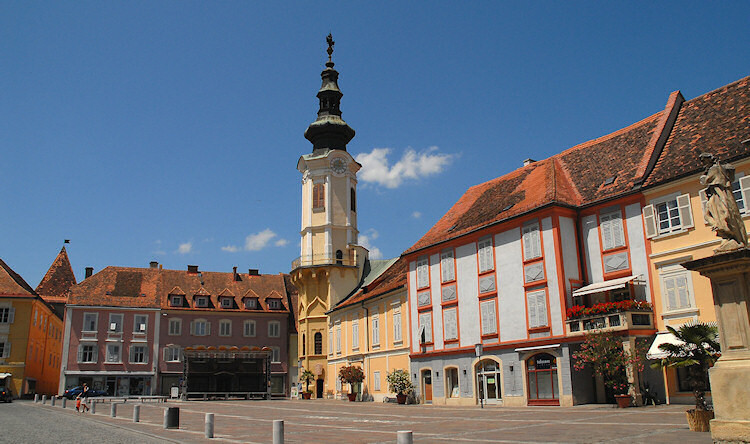 Feldbach is the vibrant administrative centre of eastern Styria's thermal and volcanic region. Feldbach has almost 5,000 inhabitants and is a typical shopping city with a healthy and active economy. The modern municipal infrastructure, the beautiful old houses and many new and attractive recreational facilities for make this city the center of the district. However Feldbach retains that certain "small town charm" the town an attractive place to live and work in. 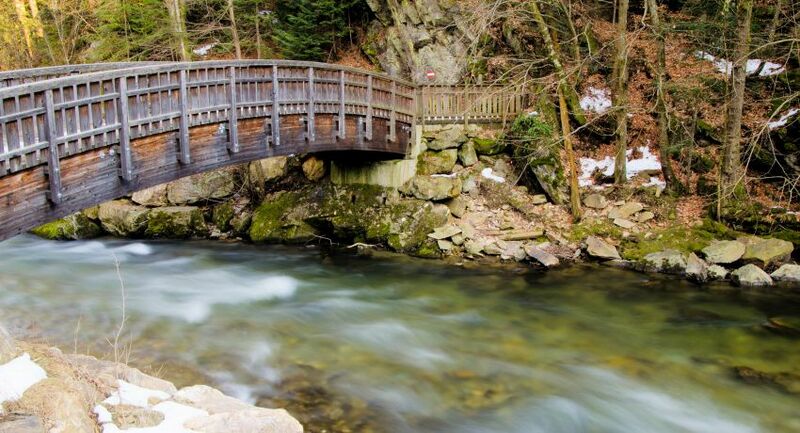 In the valley are the thermal springs, in the park and on the hills, clean fresh air. In the thermal region of the Styrian spa country, you can choose from an extensive range to rest, relax, healthy and stay healthy. Spas, hot tubs, sauna, steam baths and countless therapies offer the best conditions to replenish your energy stores, to cure physical ailments and to find their inner peace. 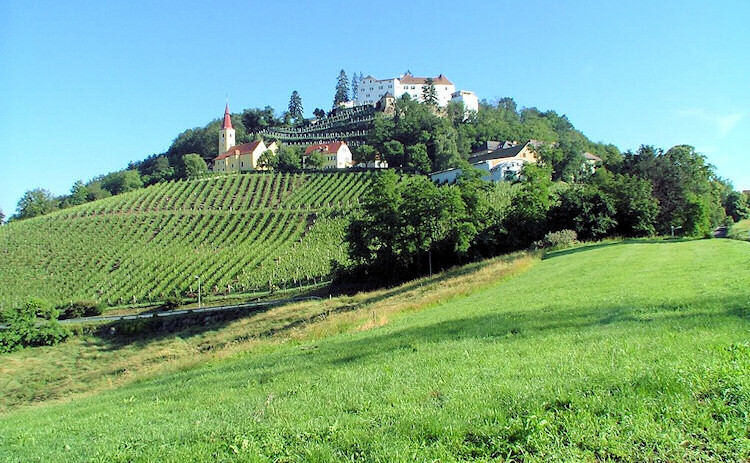 The mild climate of the hilly landscape makes it one of the most fertile areas in Austria. Wonderful castles, vineyards, orchards, thermal spas as well as a wide range of leisure activities are distinctive features of the region which make it worth exploring. 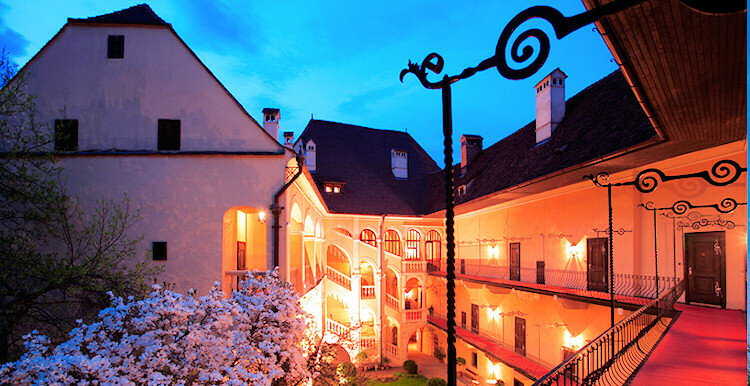 The thermal capital is located right in the heart of Thermenland Styria and is surrounded by six thermal resorts. Fürstenfeld is known for the biggest and most modern open air swimming pool in Europe. 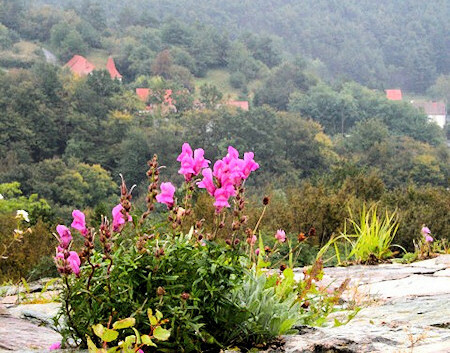 Bad Radkersburg is the southernmost spa resort in Thermenland Styria. Enjoy the Mediterranean flair when cycling, taking a walk through the park or shopping in the old town. Fehring can pride itself on all the benefits to be found in a well structured, small town. 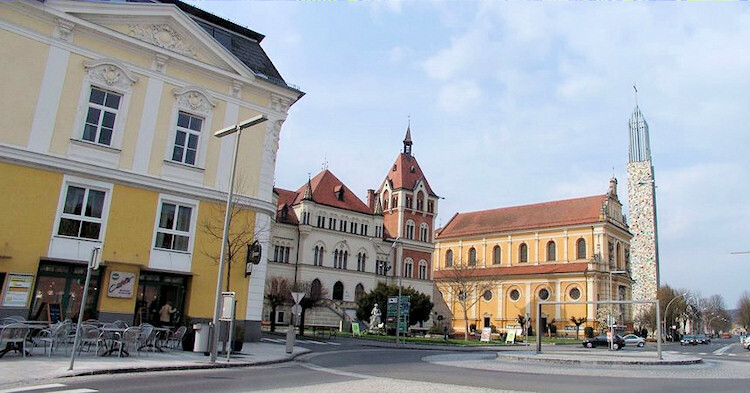 Its prominent main square, various shops, inns and cafés make it a meeting point for all age groups. Fehring hosts a number of music and culinary events: wine pub crawling tour (May), southeast Styrian wine days (first weekend of August) and Cider & Jazz (September). Since July 2009 Hartberg has been an official member of the slow food movement and can proudly call itself a Città slow. This movement started in Italy and stands for a slow-down process and a new quality in the appreciation of food. The Styrian Vulkanland (don’t worry, they have been extinct for millions of years) in the Southeast Styrian hills has 79 distinct municipalities. It is a relaxed but never the less a very innovative region. The Styrian Volcano region is mainly characterized by its uniqueness in the crafts, culture and cuisine, and thereby largely reflects the region's identity. The Steirische Vulkanland offers numerous attractions and exhibits its towering volcanic cones in the middle of South East Styrian hills with special flair. It is a good place to relax, to renew energy and to enjoy nature. Delve into the adventurous times of yesteryear and experience a part of that central european culture. Follow the Schlösserstraße in the southern parts of the thermal region and discover the "mightiest fortress of Christendom", the castle Riegersburg. With its eleven towers and six gates it is one of the largest intact castles in Central Europe. The Birds of Prey Center may make visiting the never conquered Riegersburg twice as interesting. 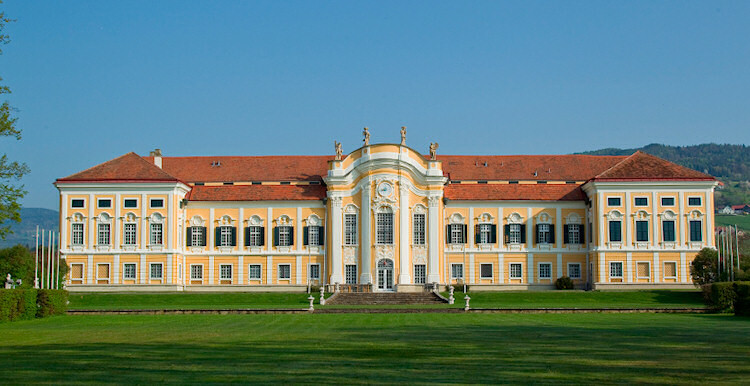 The trail continues to the exhibition center Schloß Kornberg, where the largest European Oriental rug exhibition is on permanent display. There are many other special exhibitions every year. On to Castle Kapfenstein which has established itself as a winery and sanctuary of classical Austrian cuisine. In the middle of the district capital Feldbach you finally find the "Tabor", a fortress from the 15th century, at that time it the scene of the infamous witch trials. The fortress today houses more than a dozen different museums. Amongst others, a museum depicting the rural life of the region, the pre- and early history, the biggest European POW camp during World War I and the Styrian Nature of the Fisheries museum. 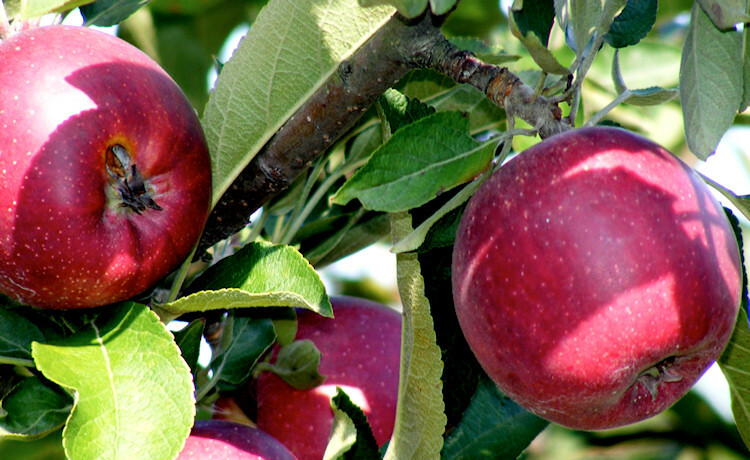 Around the Stubenbergsee is Austria's largest fruit-growing area; it has become quite dedicated to the apple. In addition to cultivation of native varieties there are also recipes created around the apple to be discovered. Especially mysterious is the Brotherhood of the “Apfelmänner“ (apple men) with their strict rites and rituals dedicated to what they say is "the highest spiritualization of the apple". Located in apple country is the Garden-castle of Herberstein, Schloss Stubenberg and Schloss Schielleiten. The residences are 5 minutes by car from each other, this makes this trail very attractive to cyclists who can use the Feistritztalradweg (Feistritztal valley bike trail) to get from castle to castle. 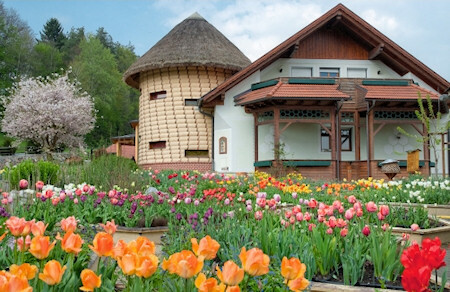 Bake your own bread at Schaubackofen Schirnitz and see baking demonstrations. Haus des Apfels (House of the Apple) in Puch bei Weiz. The Styrian Fruit-Cultivation-Museum - with orchards and fruitpress house. “Hummelnest" (Bumblebee nest) in Unterfeistritz. 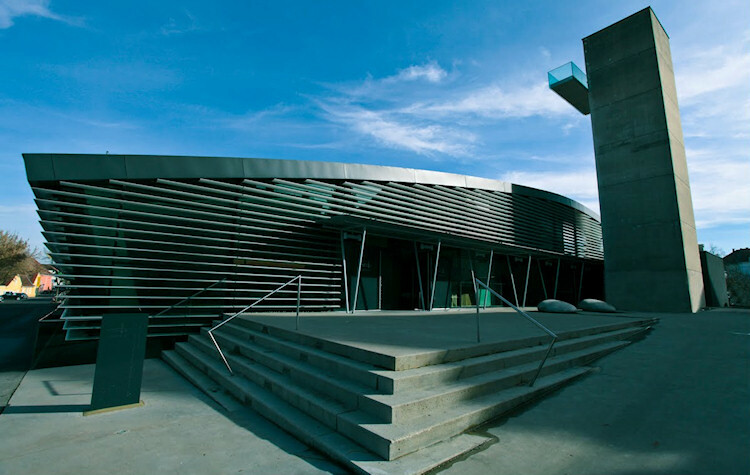 The museum offers a direct view of life in the otherwise carefully hidden in nature nests. Apfelwirt Ballooning in Stubenberg about 1 to 1 1/2 hours in the air with a champagne christening and a landing snack. The high-proof experience ... A shot trail at Hödls Brenner Stub'n in Stubenberg, about 1 km through orchards and forests. 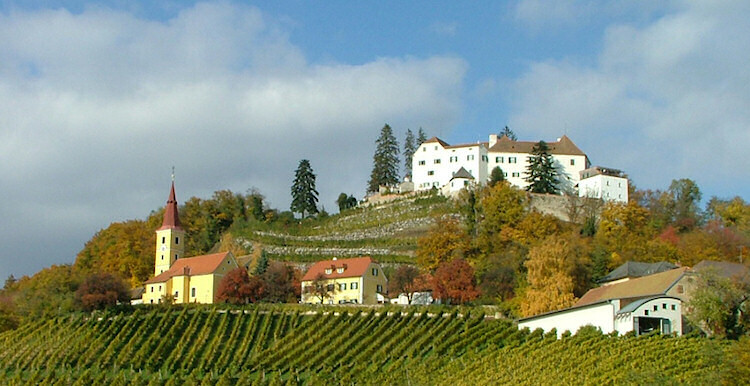 Schloss Seggau with a visit to the impressive wine cellar, including a guided tour and wine tasting. 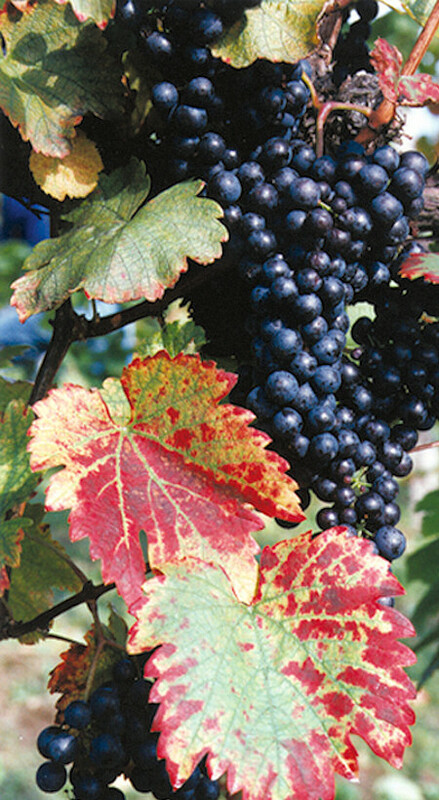 Visit the historic Old Town in Bad Radkersburg, every Monday and Thursday or by appointment, there is a “winetopic” tasting at "Vinothek Urbani" the local wine merchant. 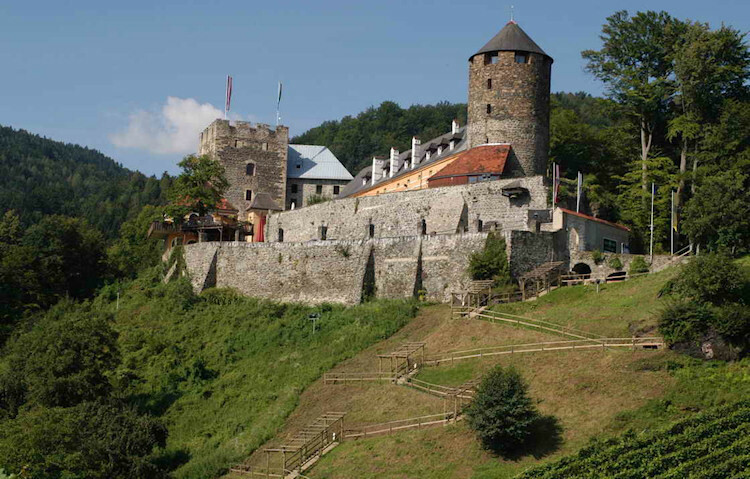 Kapfenstein Castle offers a Weingarten and cellar tour of the winery's own "Winkler Hermaden" including wine tasting. Particularly appealing is the delicious picnic basket, which can be ordered at the winery consumed in the vineyard. Kornberg Castle is known for its “Schlosswirt” that offers regional cuisine. Seasonally, such as at Easter and Christmas, markets are organized for quality crafts at Castle Kornberg. 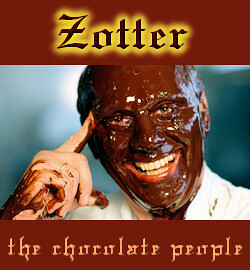 In Riegersburg on the last stages of this trail, visit the by now internationally known Zotter chocolate factory "Schokoladenmanufaktur Zotter" and for a different kind of refined fruit you should end up at the Gölles manufactory "Gölles Manufaktur" for some of the more "noble" spitits and fine vinegar. For such a “Genuss” tour you should take your time, we recommend at least five days, or simply come more frequently..
... better still; come, look and stay! Within a radius of 60 km there are six castles dedicated to the maintenance of their fabulous gardens. The Gartenschloss at Herberstein with its variety of the floral world is truly impressive. In Burg Bernstein, Andrea Berger-Almásy the lady of the castle, takes care of the oldest and last natural and rock garden of the Burgenland. 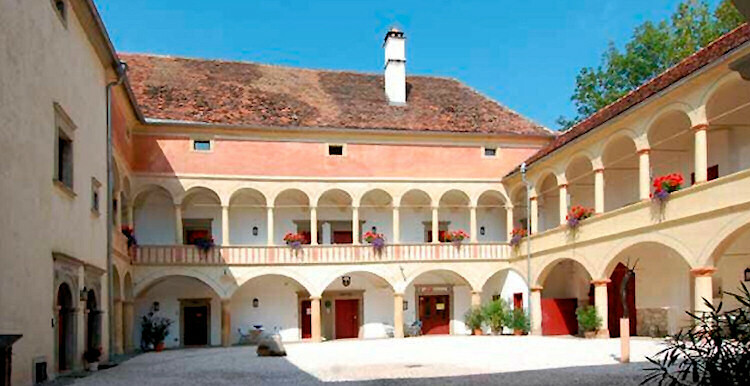 Obermayerhofen castle presents a 170.000m2 green paradise. 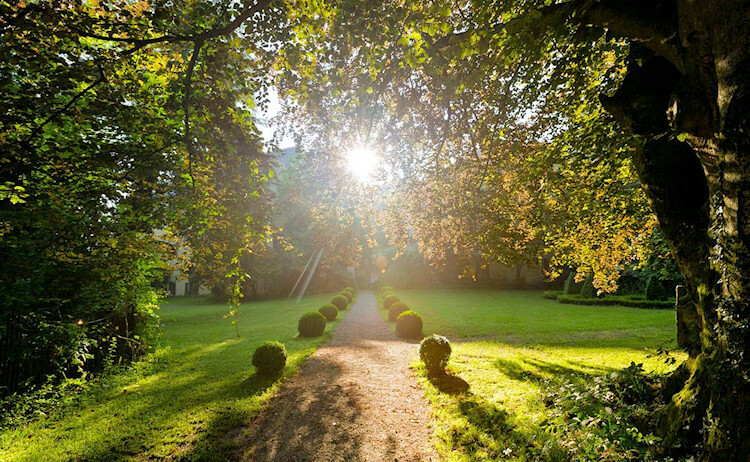 The garden in Schloss Stubenberg is an oasis of calm and tranquility. 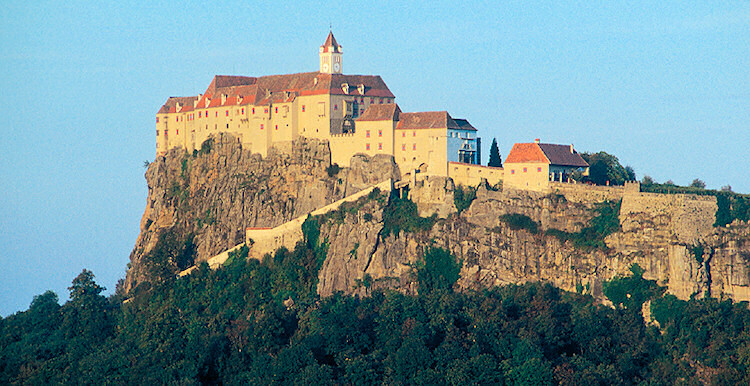 Castle Kapfenstein has vineyards on volcanic soil and Güssing castle conceals a healing herb garden behind its walls. The Bienengarten (Bee garden) at the foot of the Riegersburg explains some of the history of beekeeping. In addition to the baroque pleasure gardens and spacious parks that can be found along the Castle Trail there are charming herb and vegetable gardens, lush vineyards and orchards. Look out for the special, hidden “gardens of love” or the extraordinary Energiegärten (Energy-gardens). On the subject of seduction - every garden seduces its guests an individual and unique way. The gardens at the Castle Trail invite you to touch, smell, taste and of course enjoy! Occasionally there are also culinary surprises from the palace kitchens offered as samples or for sale. Corresponding to the individual family tradition there are many gardens not only pleasing to the eye, but also for taste and smell. 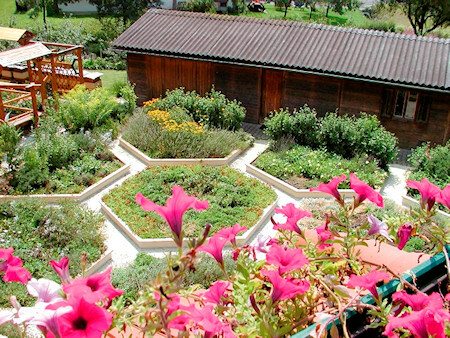 There are also many private gardens that are accessible to the general public through initiatives of www.garten-lust.at or www.lebensgarten.at. … not only for the kids …. 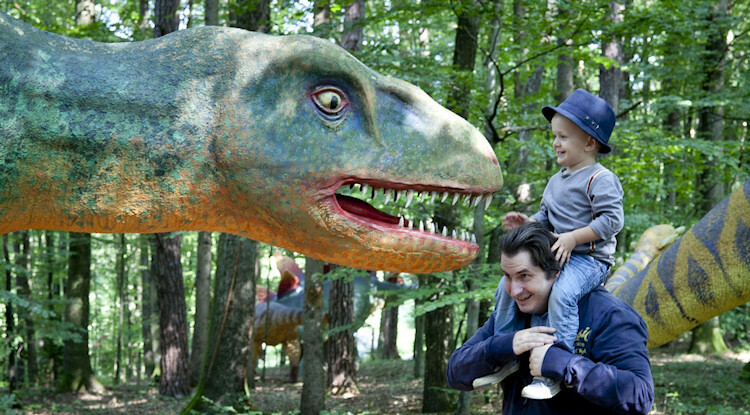 Here you can experience a new exciting outing with your children, friends and acquaintances in a wide-ranging and exciting tour through the world of the dinosaurs. 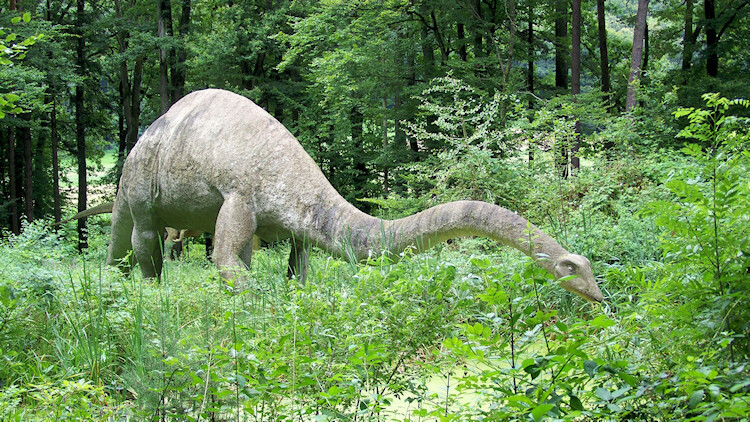 For the first time, you can follow the history that led to the extinction of the dinosaurs, close-up and in detail! Hold on - gramps wants to come too! Newly constructed holiday homes for sale. Sizes from 67 sq m to 90 sq m.